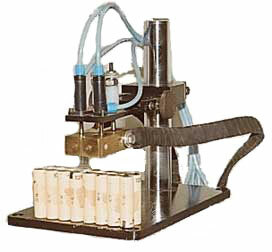 Pneumatically Operated Welding Head along with series Welding Assembly and adjustable platform to hold different sizes of battery cells. 100% Liner motion. No Electrode skid movement during welding. Thickness 0.03mm-0.6mm.